The North Dakota State Librarian is Mary Soucie. Mary has 20 years experience as a librarian. 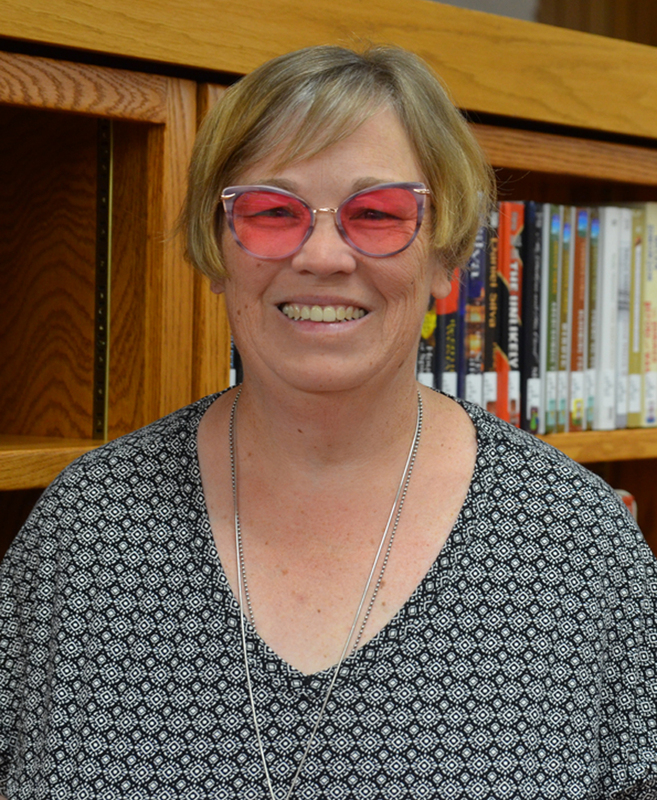 She has worked in public and school libraries; as the Youth Services Consultant for a Regional Library System; and was also an adjunct professor at a community college teaching Reader's Advisory and Adult Programs. She has served as a trustee for both her local public library and an Illinois Regional Library System. She has served in many volunteer capacities, both within the library community and her own community. Her library passions include mentoring colleagues at all levels and from all types of libraries and connecting people- whether it's connecting people with new authors or titles, new formats such as Playaways or connecting colleagues. She believes that libraries serve as community centers, connecting all the parts of the community that they serve. Her hobbies include reading, scrapbooking and papercrafting, baking and volunteering. Mary loves to spend time with her family and friends and also her dogs.